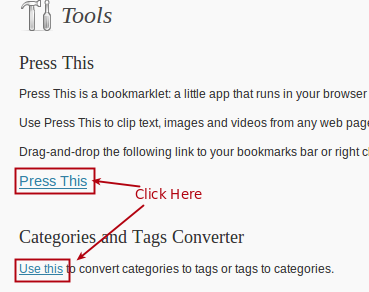 Tools are very important feature of WordPress for Bloggers to manage their blogs. 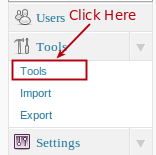 Tools in WordPress as well as in Blogger.com blog are used to import and export contents. 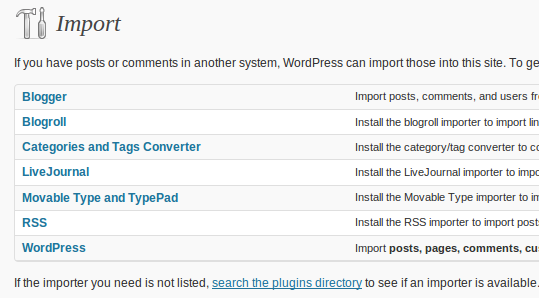 WordPress gives us a lot more extra features than Blogger.com. On Blogger.com you can import from another blog whereas with WordPress you can import a blog from Blogger.com, Live Journal, Type Pad and obviously WordPress. 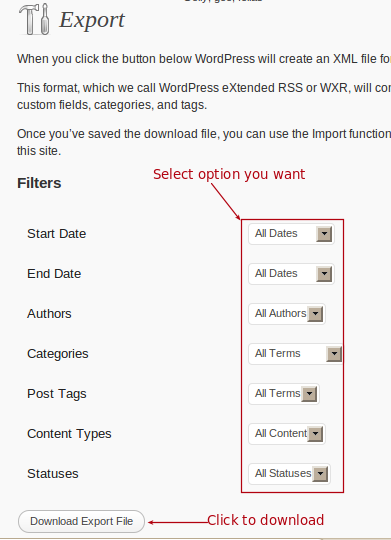 🙂 WordPress’s export gives us various additional options to specifically download certain type of content like categories, authors, post tags etc.